William Hill’s sportsbook has earned the reputation of one of the most popular online gambling sites. There is a huge range of betting options, from which you can choose different races and odds for almost every sporting eventс in the world. Combined with attractive promotions in Sports and an excellent set of resources and news, William Hill’s website is among the top bookmakers in the betting industry. If you are fans of horse racing – this is your place! You bet on greyhound races? 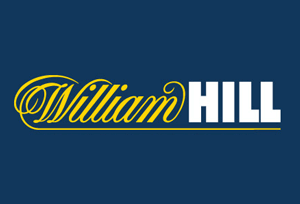 William Hill reflects every encounter and competition in the UK and Ireland. There are also some interesting sporting events, that focus on specific racers, jockeys and etc. You can also watch most live events at William Hill online streams. But that’s not all – there are a lot of tips, articles and podcasts, that will help you make the right decision for your bet. In the sports section, you can get a £ 30 free bet by making a £ 10 bet on an event. Use the C30 code to participate in this promotion. There are excellent promotions to choose from, which will help you make money, even when you think you have missed. Here’s one example of a promotion that is available for racing with horses. These are the basic steps. Maximum bonus is £ 100 free bet. Bets must be placed before the race begins. Mandatory, after 17.30 before the qualification competition. All free bets must be within 4 days. The free bets rules and conditions, that apply are very detailed in points and sub-paragraphs. The promotion has a period, so read the dates. How does this Horse Racing Promotion work? When placing a qualifying single bet (or multiple single bets) on your horse winning horse on any ITV live event or selected UK races (except for Irish & All-Weather) and involving 6 or more horses on during the promotional period, if the horse you are betting wins with 2 or more lengths, you will receive a free bet worth 15% of your winnings (minus the bet amount) up to a maximum of £ 100 per customer according to the promotional race in addition to your profits. To qualify for this promotion (and for every free bet), you must have an initial bet on the day, before the Promotion is held and the start of the Promotional Race. The value of each free bet is calculated as 15% of your winnings for the promotional race (the total amount of qualified prize money minus the total amount set for those original bets) to a maximum of £ 100 per customer for each promotional tour. For example, if you made an initial bet of 50 £ per horse to win in a race, involving 6 or more horses and your horse is the first with 2 or more lengths, earning £ 90 (including the £ 50 bet), you have a £ 40 win (£ 90 – £ 50 = £ 40) and you will get a free £ 6 bet ( 15% of £ 40). Your free bet can be redeemed on the William Hill website. Your free bet must be re-used within 4 days of the date it was transferred to your account in the case of distance bets and within 4 days of the promotional race. Any unused free bets will automatically expire at the end of the period (and you will not be able to use these free bets). It’s time to try your luck and why not to win?